The new M.Zuiko Digital ED 30mm f3.5 Macro helps users capture unique images with a maximum image magnification of 2.5x (35mm equivalent), the highest in its class. With the minimum focusing distance of 95mm (14mm from the end of the lens) and a minimum shooting field of 13.9 x 10.4mm, the lens enhances the beauty of everyday details like dew on a blade of grass or the eyes of a sleeping baby. The lens’ superior AF performance makes capturing fleeting moments effortless, with an increase in focusing speed of 20 to 30 percent over previous Olympus macro lenses. 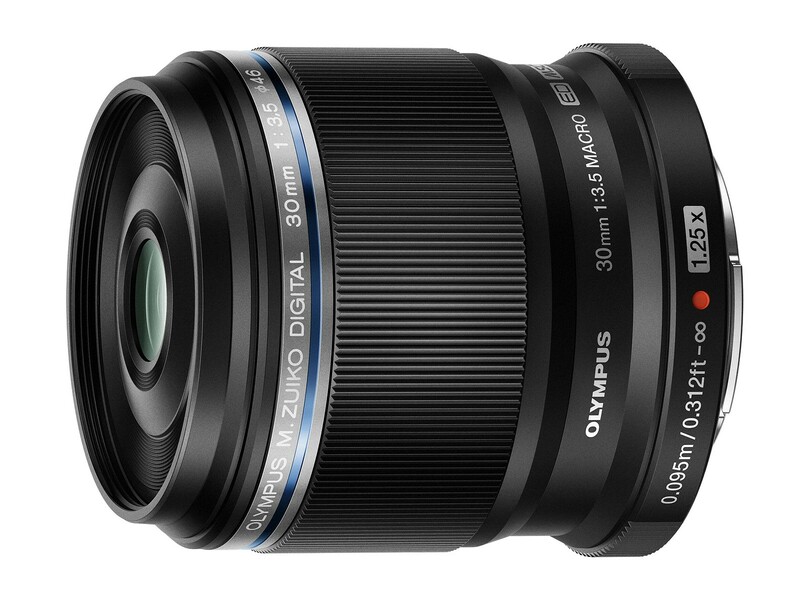 When paired with an OM-D® or PEN® camera body, the M.Zuiko Digital ED 30mm f3.5 Macro delivers crisp and clear images courtesy of Olympus’ advanced in-camera image stabilization, which can eliminate the motion blur commonly associated with high-magnification macro photography. Macro performance can be further enhanced through the PEN-F and OM-D’s Focus Bracketing feature, which allows users to automatically capture the entire focus range within a preset number of shots. For underwater enthusiasts, the M.Zuiko Digital ED 30mm f3.5 Macro is compatible with select Olympus underwater housings and lens ports. The lens’ internal focusing system helps novice shooters capture impressive underwater macro shots without the worry of disrupting their subject. In addition, the lens is equipped with an MSC (Movie & Still Compatible) mechanism for practically silent and smooth autofocus and aperture operation for both still shots and video. With the highest image magnification of 1.25x (35mm equivalent: 2.5x) in its class1 and a minimum focusing distance of 95mm (14mm from the end of the lens), this macro lens is an affordable way to enter the world of high-quality macro photography. The minimum shooting field of 13.9 x 10.4mm allows users to magnify and capture minute details like never before. High-magnification macro photography is prone to motion blur caused by movement of the camera. When this lens is paired with the advanced in-camera image stabilization of OM-D and PEN camera bodies, motion blur is virtually eliminated. This macro lens is designed to be compact and lightweight while offering outstanding optical performance, making macro photography enjoyable for photographers of all skill levels. 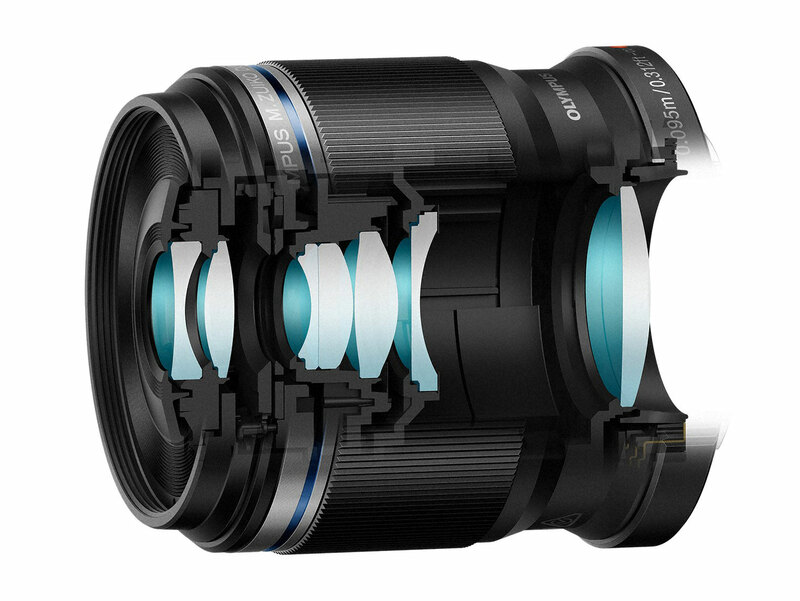 DSA2 and EDA3 lenses are utilized to provide high resolution and a maximum image magnification of 2.5x.4 The optical design minimizes vignetting, even at close distances, and the 7 blade circular aperture creates beautiful bokeh beyond the plane of focus. The lens is equipped with a MSC (Movie & Still Compatible) mechanism, which makes autofocus speed for still images and video faster and quieter. By designing the focusing lens group to be small and lightweight, autofocus speed is improved by 20 to 30 percent over previous Olympus macro lenses. High-speed AF enables users to perfectly capture precise moments, even when shooting macro subjects. This lens utilizes an internal focusing system, eliminating the worry of accidentally touching the subject since the length of the lens does not change while focusing. This ultra-lightweight, thin protective filter with a diameter of φ46mm is finished with multicoating to protect the lens from scratches. Because the lens coating is transparent and colorless, it does not affect visible light. This pouch-style lens case protects lenses with three-layer construction. It may be used to store the M.Zuiko Digital ED 30mm F3.5 Macro with the lens cap and protective filter attached. This specialized focus gear for the M.Zuiko Digital ED 30mm f3.5 Macro works with a compatible Olympus underwater camera housing.5 It enables fine-tuning of manual focus during underwater shooting. This is an antireflective ring specialized for the M.Zuiko Digital ED 30mm f3.5 Macro. When using it with an underwater camera housing5 it helps prevent reflections during underwater macro shooting.